Mr. Nyaosi has an outstanding track record in litigation and alternative dispute resolution. He is known to provide the best technique with client’s goals and objectives in mind, with an acute appreciation for responsive legal advice. 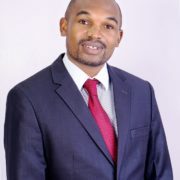 His appreciation of the environment in which the Kenyan government departments, agencies and authorities operate enables him to provide customized solutions to the litigious matters presented. He also provides consultancy and transaction advisory services to a list of institutions in both private and public sectors.